Yesterday (9th of October), at least 11 prisoners were gunned down and around 35 were injured by the STF. The shooting was carried out when the STF entered the Welikada prison for some inspections. According to an eye witness, interviewed by the BBC Sinhala service, when some prisoners who were in death row were taken out and handcuffed, the prisoners resisted and then the prisoners were attacked by the officers who had come for inspection. The dead bodies of 10 persons had been brought to the hospital by that evening and the shooting was still continuing at the time of the interview. According to the eye witness, all the prisoners were taking shelter and hiding to try to avoid becoming victims of the shooting. The government spokesman, who was questioned by the BBC Sinhala service, denied that any of the prisoners have been killed and tried to attribute the reasons for the incident to the prisoners. He said that around fifteen officers had been injured. It appears that the officers had entered the prisons for some inspection and the confrontation with the prisoners had taken place at that time. The Asian Human Rights Commission condemns this shooting and calls on the government to institute a judicial inquiry into the incident. President Rajapaksha himself and the Defense Secretary Gotabaya Rajapaksha should take the responsibility for this shooting. The use of STF officers, who are in fact a paramilitary group, for this type of inspections needs to be scrutinized. The use of paramilitary forces in policing work is being witnessed quite often in recent times. The STF started as a paramilitary force during the conflict with the government and the LTTE, and they were used for special tasks in the military zone. They were given commando training. On earlier occasions, when the STF was deployed for crowd control during demonstrations, there were shootings and these were condemned by civil society organisations. Last week, there was also a shooting of four prisoners in Galle after they were arrested by the police. The killing of prisoners is a heinous crime. Where such incidents occur, it requires the most serious kind of investigations. However, in recent years, Sri Lanka has abandoned the practice of conducting serious inquiries into incidents where police and military officers are said to be involved. It is most likely that, instead of conducting a credible inquiry into the conduct of these officers during this incident, the government propaganda machine will be employed to create a version of events that puts the blame for the incident on the prisoners. The LLRC recommended that the police should be de-linked from the Ministry of Defence. However, this recommendation is quite unlikely to be implemented. More and more, military approaches have been adopted in investigations which should in fact have been done on the basis of normal criminal investigation methods by the civilian police. 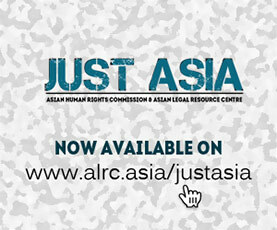 The Asian Human Rights Commission calls on the government, civil society organizations and international community to demand a thorough and credible inquiry into all aspects of these killings and related incidents. « SRI LANKA: How does the Attorney General file indictments and how do Members of Parliament sign impeachment petitions?